Whether you’re a property owner, estate agent, architect or builder, with so much competition it can be hard to penetrate online marketing channels and make yourself heard above the din. Hard, but by no means impossible, and the key is to employ search engine optimisation techniques – something a property copywriter can help you with. Search engine optimisation, or SEO, is simply the practical application of a variety of techniques intended to improve the standing of your website in the search engine ranking pages (SERPs). This includes a number of technical and design-related factors, but SEO copywriting has a significant part to play. One of the key things that search engines are looking for is sites that are relevant to their users’ queries, and that are populated with high quality content. 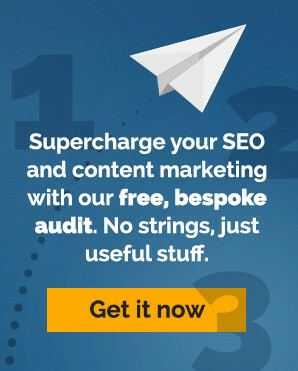 How can a property copywriter improve your SEO? Content is at the heart of modern search engine optimisation, and so it needs someone to create it. Doing it yourself can be immensely time consuming, and if you’re not sure what you’re doing then it may not yield the results you’re after. A professional property copywriter can create the content you need to increase your online visibility, whether that’s straight-forward web pages, property descriptions, blogs or anything else.Part of the content creation process is the inclusion of keywords, and these are one of the means used by search engines to determine how relevant your site is. But the creation of SEO content is about much more than keywords, and as well as attracting the attention of the search engines it needs to communicate effectively and persuasively with your human visitors.The role of a property copywriter is to provide your site with this content, which will increase your rankings in the search engines, and thus the amount of in-bound traffic, while at the same time engaging visitors.